Usually loose livestock is more of a problem in Texas, but out at Circuit of the Americas they're dealing with an animal nuisance of the smaller, cuter variety. 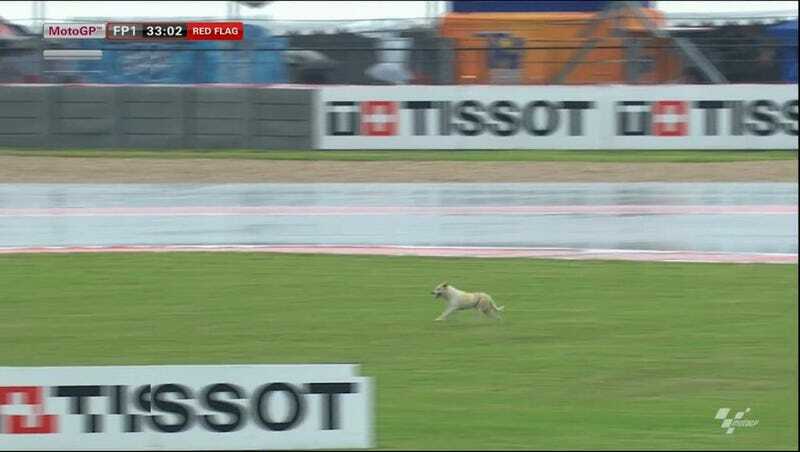 MotoGP's first final practice has been red-flagged due to the presence of a dog running around the track. They still haven't caught the little stinker. UPDATE: The dog has been caught and Free Practice 1 was allowed to continue. Thankfully, no canines were harmed in the running of this practice session.